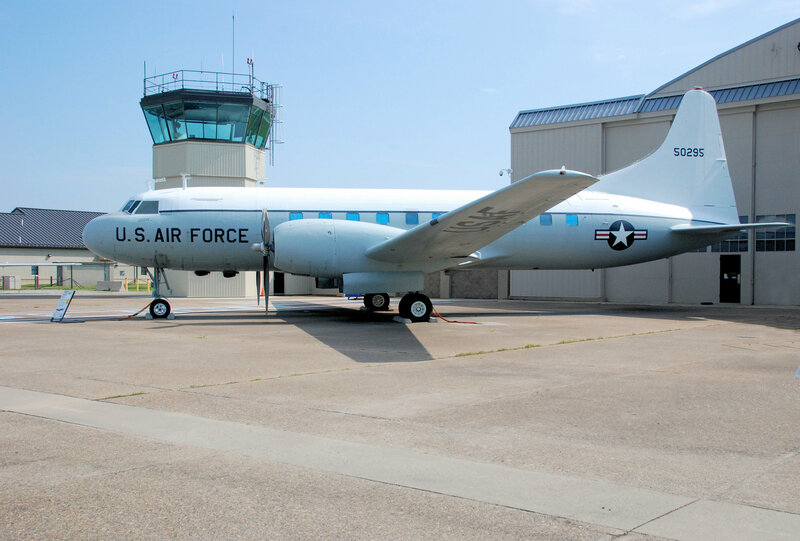 Our Samaritan began its flying career as a staff plane for the Air University and ended its service as a South Carolina Air National Guard general’s plane. It was also the museum’s first “flyable” aircraft. This short-to-medium-range transport was stationed at Dover Air Force Base in its T-29 version. The C-131 Samaritan is the military version of the Convair 240/340/440 series of twin-engine commercial airliners. The first Samaritan, a C-131A derived from the Convair 240, was delivered to the Air Force in 1954. It was primarily used by the USAF for aeromedical casualty evacuation. The C-131A had large loading doors for stretchers or cargo and was equipped to accommodate 27 stretchers or 37 sitting casualties. In later years, some Samaritans were converted to be used as VIP staff transports under the designation VC-131H. The first prototype of the Southeast Asia vintage side-firing gunship program used the C-131 airframe. Nearly all of the USAF’s C-131s left the active inventory in the late 1970s, with a few still serving in Air National Guard units until the mid 1980s. I was stationed at Wiesbaden Germany in 1968 was FE on 55 294 later transferred to Ismir turkey, then to Athens Greece, Then to Tehran What a wonderful aircraft. Still love that old bird. Thanks for the memories. SMSgt Frank Pitts Ret. You past thru Aviano AB. I was Transit Alert there, we must have crossed paths. My first aeromedical evacuation training flight was on a C-131 at Kelly AFB TX in 1972. Reply to Merrill Wilson’s comment. All T 29 and C 131s had tricycle gear. None had a tail wheel. 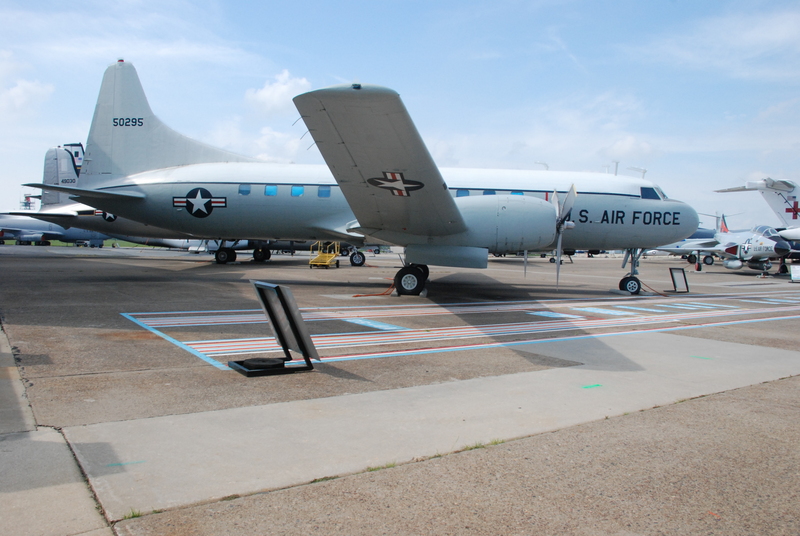 Note: USAF had a special Convair designed as a VIP plane Although later designated as a VC 131 A, it was a T 29B when it rolled off the assy line. 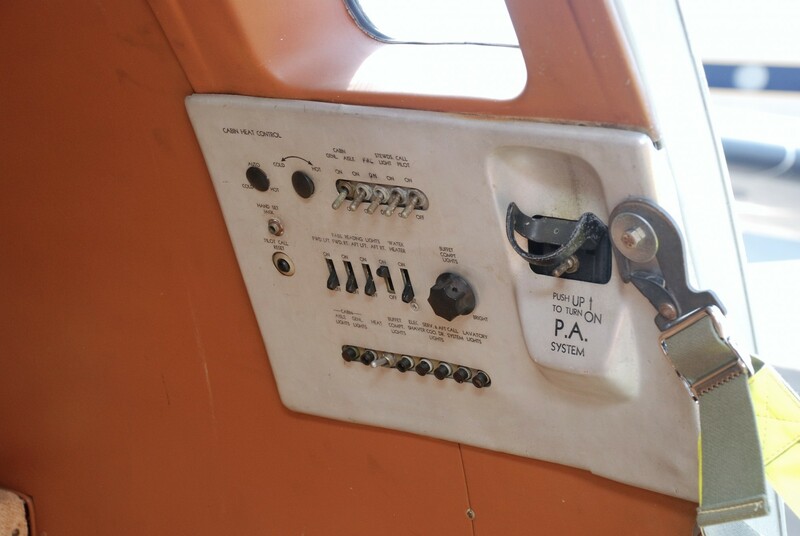 It went directly to the Modification process of installing a full Galley for a flight Steward. It had special seating with VIP work tables that doubled for small conferences. A bed was also installed for en-route use. A special Gas powered Generator was installed in the belly to provide starting power for engines. Other amenities included a small safe, private lavatory. Entrance door same as T 29B RH side Fwd. Engines were R 2800-99 W.
Only 4 VC 131 A’s were made. One crashed in S America. Location of 2 others unknown, However I was fortunate to be the Crew Chief and FE on the 4th plane at Eglin AFB. Tail # 51-5127 Transferred from Eglin to the Alaska State Gov. 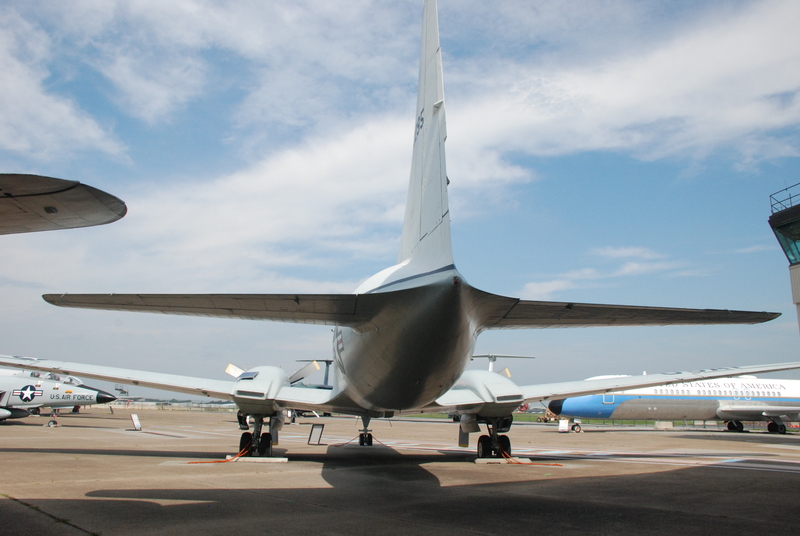 I loved that plane…. and the Headquarters Command headrest cover with the WH emblem on it in Blue and Gold trim. setup with its cockpit level; while the T-29 would set on its tail wheel with it’s cockpit ‘up’. fasteners and click them into locked position. The manual said you could only have about 3 not fastened. the first time anybody tried to put one of these back on…they usually failed…..HA! Although Dover AFB had the T-29 variant, our C-131 (#55-295) never had the chance to call Dover home. Between December 1954 to June 1975 it was with the 3800th Air Base Wing (Air University) at Maxwell AFB, AL. You can view the rest of the aircraft’s assignment history just above the comment section.